The first parish-wide picnic in 25 years was held on the church grounds in 1994. 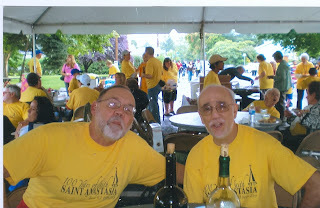 An annual parish picnic was instituted almost a decade later, starting in 2002. It was held in Votee Park in Teaneck and then on parish grounds. Folks of all ages congregated to enjoy the games and activities, the picnic food, dancing, and the chance to be together. T-shirts with “St. Anastasia’s” emblazoned on them sold each year. 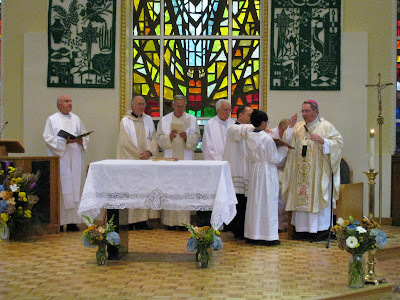 Other social occasions for the whole parish during the last 25 yearshave included pot luck suppers,Broadway shows, musical evenings, trips, dances,picnics, Carnival, Lenten Soup Night, and F.A.S.T. dances. These events continue the good spirits of lawn parties, card games and dances held in public schools from 1913-1933, as recorded in the priests’ Announcements books.